Smith Wigglesworth was born June 10, 1859 at Menston, West Yorkshire County, England. He is a Christian man of exceedingly great statue in England and garnered with a world-wide reputation as an effective servant of Jesus Christ. Smith Wigglesworth was a British evangelist who was important in the early history of Pentecostalism. Smith Wigglesworth is a Christian man of exceedingly great statue in England and is garnered with a world-wide reputation as an effective servant of Jesus Christ. We have genealogical information showing direct paternal descendants from Osbern De Bolebec, born about 970 AD in Longueville, Normandy, France. That family shows Smith Wigglesworth as in the 29th generation of it. This is a 15-page document. However, running an ancestor�s report on Smith Wigglesworth, which continues through a maternal connection above Osbern De Bolebec, Smith�s family goes up 62 generations to Godwulf, who was born about 80 AD, living somewhere in Asgard, Asia or better described as East Europe. Here�s a Running a Ancestors Report from Smith Wigglesworth�s son, back to Godwulf, 62 generations just prior to the William the Conqueror�s time. Smith Wigglesworth is the 32nd Great grandson of ancient English King of Wessex, Aethelwulf (806-858 AD), the 26th great grandfather of Edward Southworth, my 25th cousin, seven times removed, and the first husband of Alice Carpenter. Alice is my seventh great grandmother through her second husband, Plymouth Colony Governor William Bradford, one of the Mayflower passengers arriving in America in 1620. This is a 296 page report running down from Bradford for 14 generations to our contemporary times. It includes our cousin, Noah Webster, author of the 1828 dictionary. I�m on page 149. Ethelwulf (as it also is spelled) is the 39th great grandfather of our Westmoreland grandchildren, Katherine (Katie), John David (Jack), twins Lily and Sarah and Samuel (Sam). The Westmoreland grandchildren are 33rd cousins, seven times removed to Smith Wigglesworth. My wife, Suzanne Margaret Boggess Sharpe, is related to Smith Wigglesworth through her marriage to me and to the cousin relationships described above. 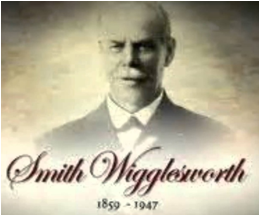 Smith Wigglesworth was born in Menston, Yorkshire, England, to an impoverished family. As a small child, he worked in the fields pulling turnips alongside his mother; he also worked in factories. During his childhood, he was illiterate. Nominally in his family who were Methodists, he became a born again Christian at the age of eight. 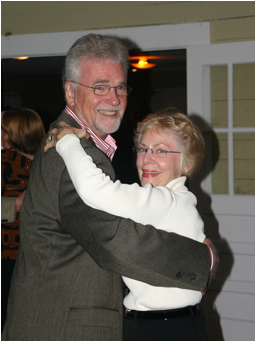 His grandmother was a devout Methodist; his parents, John and Martha took young Smith to Methodist and Anglican churches on regular occasions. He was confirmed by a Bishop in the Church of England, baptized by immersion in the Baptist Church and had the grounding in Bible teaching in the Plymouth Brethren while learning the plumbing trade as an apprentice from a man in the Brethren movement. Wigglesworth married Polly Featherstone on 2 May 1882. At the time of their marriage, she was a preacher with the Salvation Army, and had come to the attention of General William Booth. They had one daughter, Alice, and four sons, Seth, Harold, Ernest and George. Polly died in 1913. His grandson, Leslie Wigglesworth, after more than 20 years as a missionary in the Congo, served as the president of the Elim Pentecostal Church. Wigglesworth worked as a plumber, but he abandoned this trade because he was too busy to do plumbing work after he started preaching. In 1907, Smith Wigglesworth visited Alexander Boddy during the Sunderland Revival. Following a laying-on of hands from Alexander's wife, Mary Boddy, he experienced speaking in tongues. He spoke at some of the Assemblies of God events in Great Britain. He also received ministerial credentials with the Assemblies of God in the United States, where he evangelized during the 1920s and later. Wigglesworth believed that healing came through faith, and he was flexible in his approach. When he was forbidden to lay hands on audience members by the authorities in Sweden, he preached for a "corporate healing," by which people laid hands on themselves. He also practiced anointing with oil, and the distribution of "prayer handkerchiefs" (one of which was sent to King George V). Wigglesworth sometimes attributed ill-health to demons. Wigglesworth was ministering at many churches throughout Yorkshire, often at Bethesda Church at Swallownest (on the outskirts of Sheffield), Wigglesworth claimed to have had many prophecies. He also had an international ministry: as well as Sweden, he ministered in the U.S., Australia, New Zealand, South Africa, the Pacific Islands, India, Ceylon, and several countries in Europe. Some of his sermons were transcribed for Pentecostal magazines, and these were collected into two books: Ever Increasing Faith and Faith that Prevails. 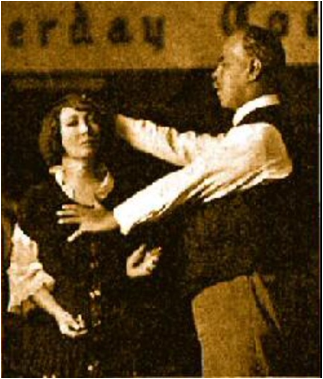 Much of Wigglesworth's ministry was focused on faith healing. He said God had healed him of appendicitis. Despite suffering from kidney stones which passed naturally in his later years, Wigglesworth refused any medical treatment. It was said he proclaimed that no knife would touch his body either in life or death. Supporters of Smith said they were miraculously healed with accounts being described in the popular press and in Pentecostal magazines. There were reports that people were raised from the dead, including his wife Polly. Many people said they were cured of cancer by him. Wigglesworth, whose only training was as a plumber, described cancer as 'a living evil spirit', and insisted that many diseases were 'Satanic in origin'. He continued to minister until the time of his earthly departure. 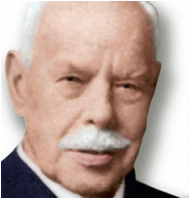 Smith Wigglesworth graduated to Heaven March 12, 1947 at Wakefield, West Yorkshire County, England.